Christmas is right around the corner and there’s no better time to celebrate Kingston vendors that bring us unique, beautiful and delicious gems that are created right here in our special little town. Supporting local vendors is the best part of living in a small community so when you’re shopping this holiday season consider starting your search locally for the perfect gift. I’ll help you out with this gift guide for those people in your life who love handmade gifts or love to get their hands dirty and create their own gifts! 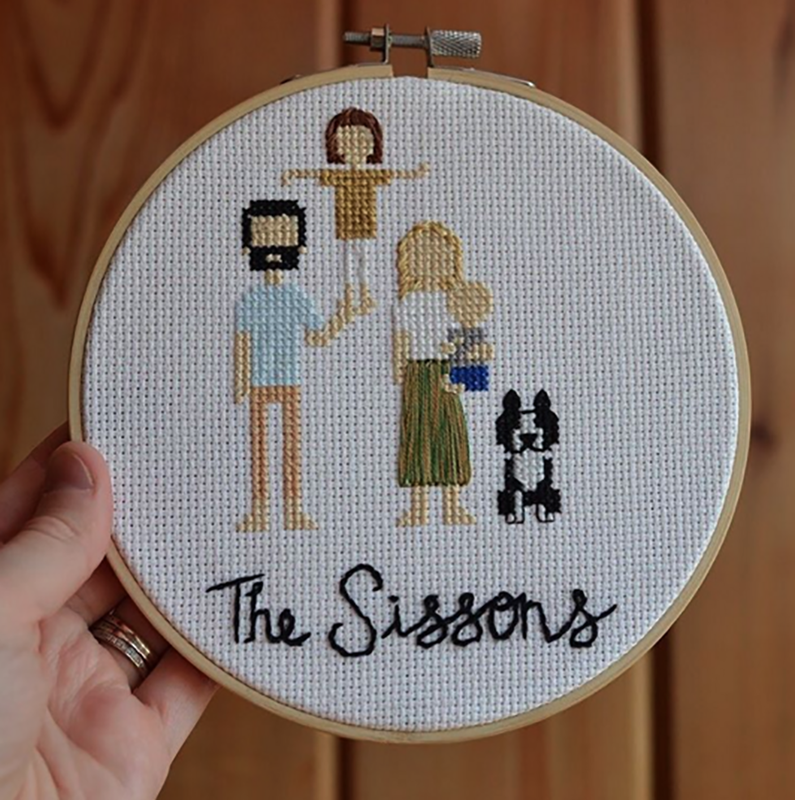 These family-themed needlepoint displays are perfect for a customized gift. Needlepoint artist Rachel Irwin Moser makes adorable wall hangings with illustrations of family photos. This charming gift is sure to give you extra brownie points with your secret santa. A typical order can be ready within a week or two depending on the volume of orders. They are $30 for three figures and the cost increases from there. Check out her work here, and order by emailing knitknacksandbabycrafts@gmail.com. If you want to sneak in an early Christmas gift that kicks off the holiday spirit, I suggest a workshop at Sun Harvest. 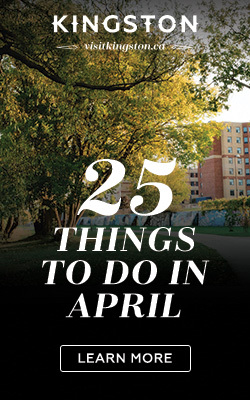 They offer classes on wreath making, centerpieces and all things festive. All of the items needed for the project are included in the fee (between $25-$50) and you get to bring your creation home with you – filling your space with extra holiday spirit. Workshops are available until mid-December. 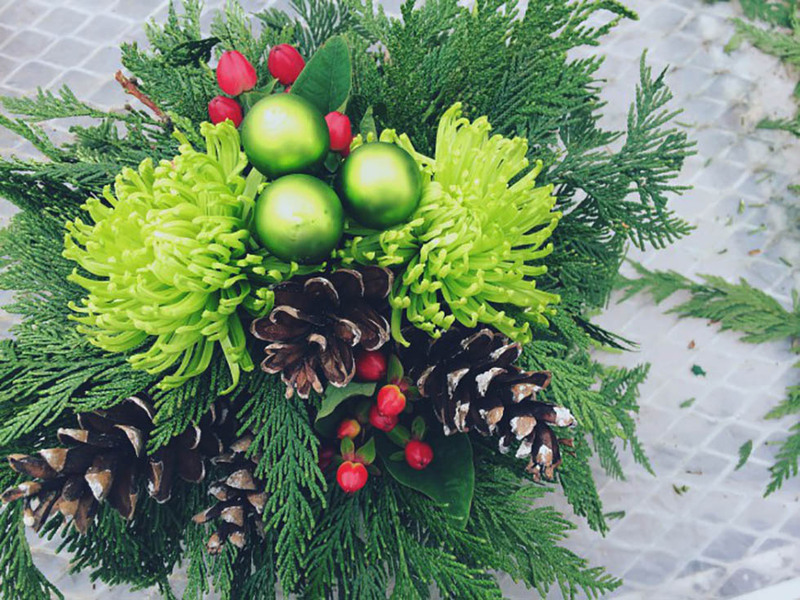 If you’re not interested in gifting a workshop, there are tons of festive items available in store! 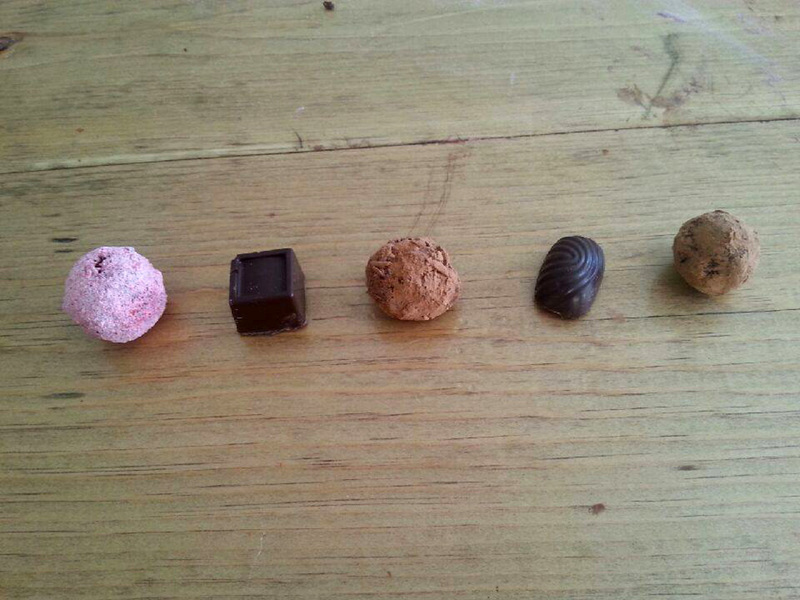 Cócó chocolates are made from imported Dominican cacao beans by a former pastry chef right here in Kingston. Local celebrity chef Clark Day uses the chocolate in his desserts at Bayview Farms – so you know it’s delicious! They are offering a few special seasonal flavours – mulled wine spice, candy cane and spiked eggnog! 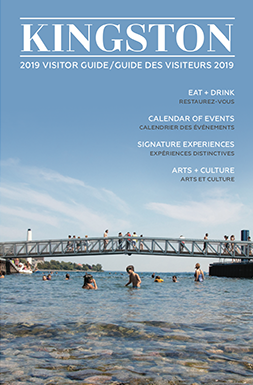 These sweet treats can be found at the Kingston Visitors Centre, Limestone Creamery, Lsp Designs Flower Shop, and Cher Mere Spa. You can also find owner Brendan McAleer at the Memorial Farmer’s Market on most Sundays and the Snow Much Fun market in Springer Market Square on December 9 to grab your goods. If you live in Kingston, Brendan tells me he’s happy to make any special deliveries. This is a very unique experience. One of Gananoque’s finest restaurants, Riva, offers private cooking classes followed by dinner starting in January until the spring. 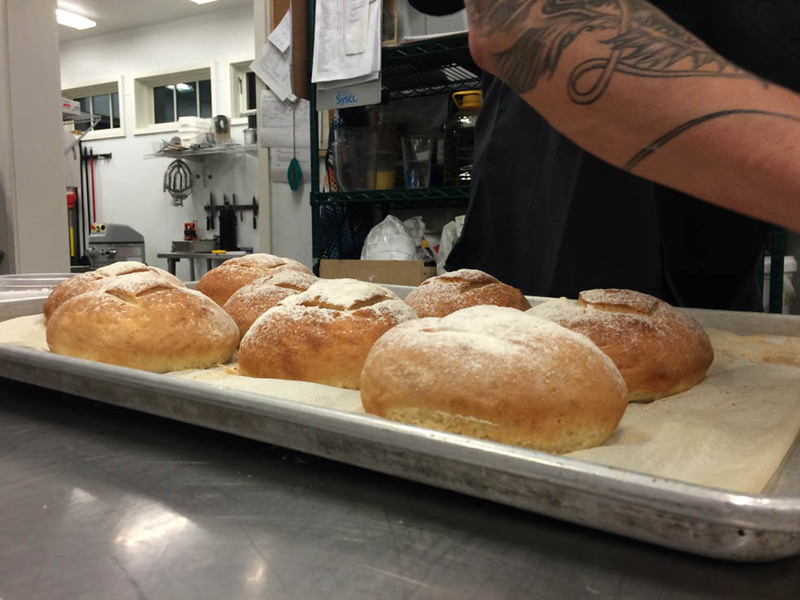 I’ve experienced their bread making class as a gift and had a blast. The chefs share their expertise with you in the kitchen, provide a recipe book and then serve a four course meal. Groups max at 10 people so it’s a very intimate experience. I suggest a gift card to Riva that can be used towards the classes once the schedule opens up – it will be worth the wait for any foodie in your life! Darcy and Keith of Secret Field Lavender grow their pesticide-free and herbicide-free fragrant bounty on Middle Road in Kingston and create holiday-friendly items that would make perfect gifts. 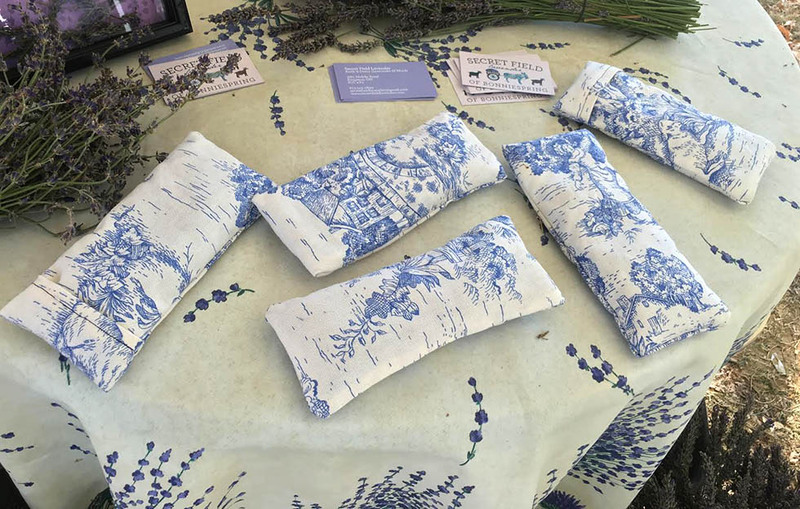 Lavender eye pillows to help with a good night’s sleep and mini pillows to keep clothing smelling fresh or kept bedside for a relaxing aroma. Lavender has calming benefits that are perfect for the post hectic holiday nights at home. You can catch them at the Memorial Centre’s Holiday Farmers Market on Sunday, November 27, December 14 and December 18 or contact them through their website for more details. 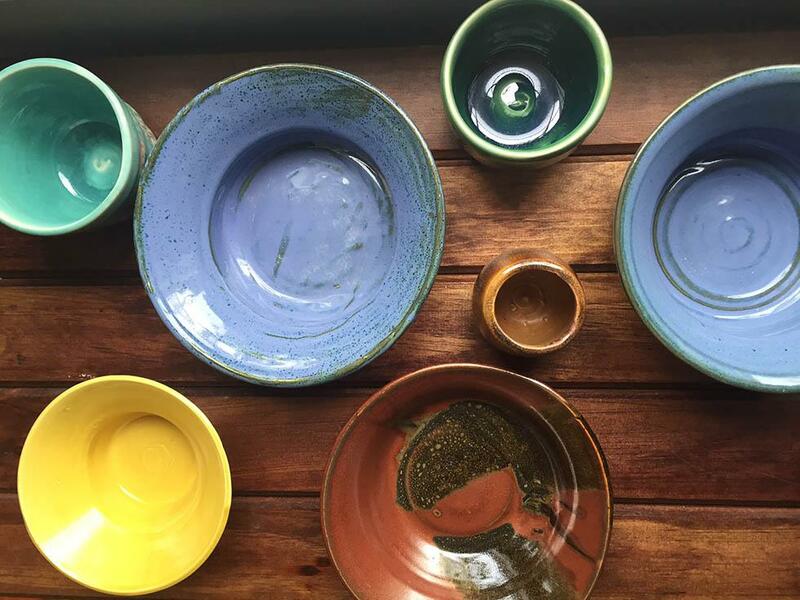 A gift from Amaranth is either for the person who appreciates a handcrafted stoneware item like a piece for the garden, a mug or a bowl or for the friend who wants to get their hands dirty and create a masterpiece for themselves. This locally owned pottery spot located in the west end offers courses, drop in spin classes or handmade pieces in store. Check out their website to learn about the classes you can gift or visit their store to see their crafty work.